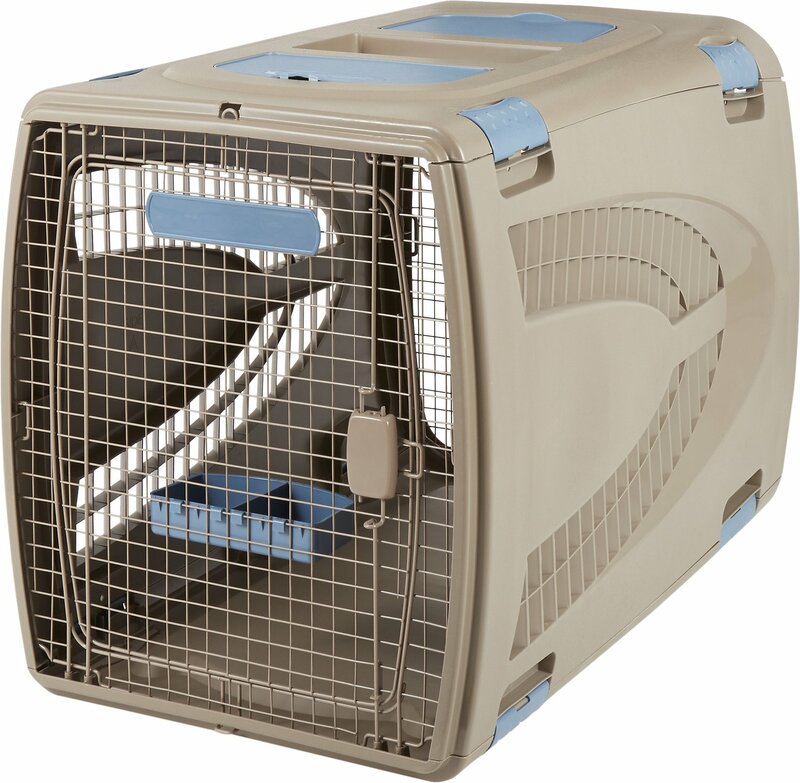 Take your pooch on the go with the Suncast Deluxe Brown Pet Carrier. Designed for toy to small size pups, it’s made with durable resin and sturdy wire so it can stand up to heavy duty use. 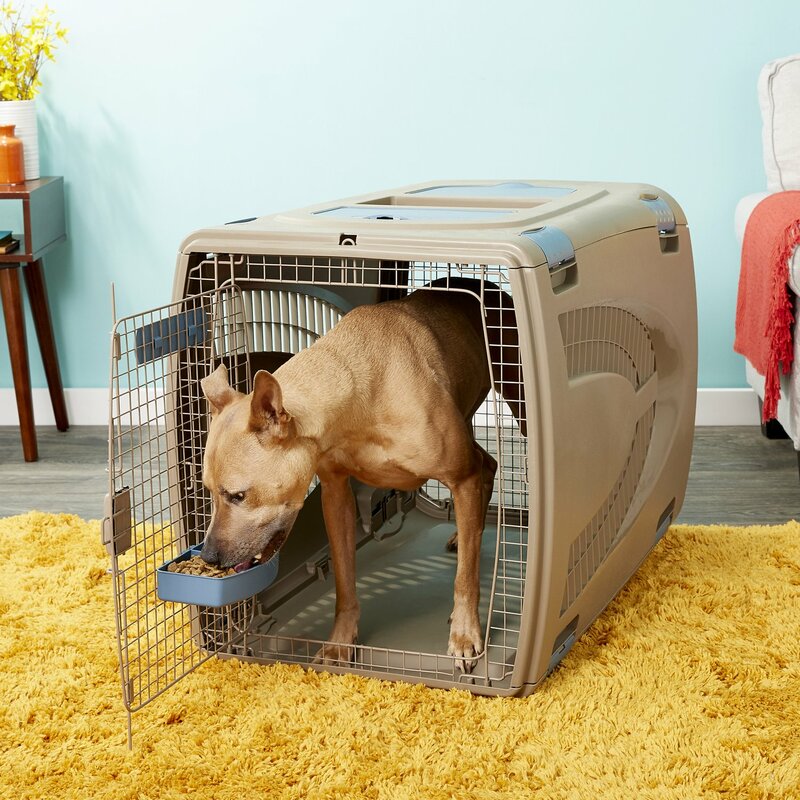 It features a soft handle to make carrying it ultra-comfy, an easy-access storage compartment for small treats and other essentials, and a built-in tray for food or water to keep your pal feeling right at home wherever you’re going, by air or land. And putting it together is easy since all the parts simply snap together with no tools needed. Plus, it includes letters so you can personalize it with your best friend’s name. Durable resin and sturdy wire construction can stand up to heavy duty use, for air or car travel. Easy to take along with convenient carrier handle, and can be connected to a shoulder strap for safer car rides (strap not included). 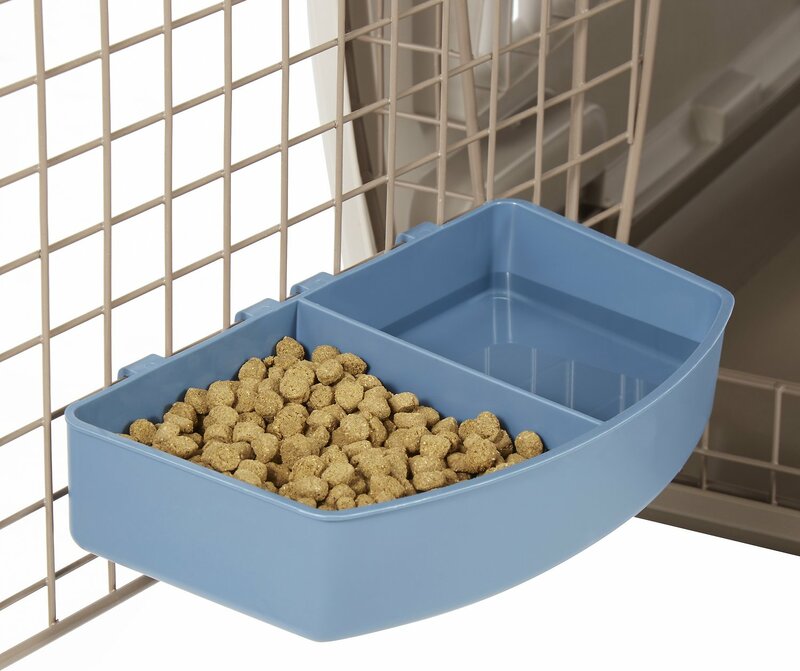 Includes tray for food or water to keep your pal comfy whether on trips to the vet, groomer, or anywhere you go. Proudly made in the USA and easily snaps together so you don’t need any tools or assembly to start using it. (1) Food and water tray, and letters to personalize with your dog's name. 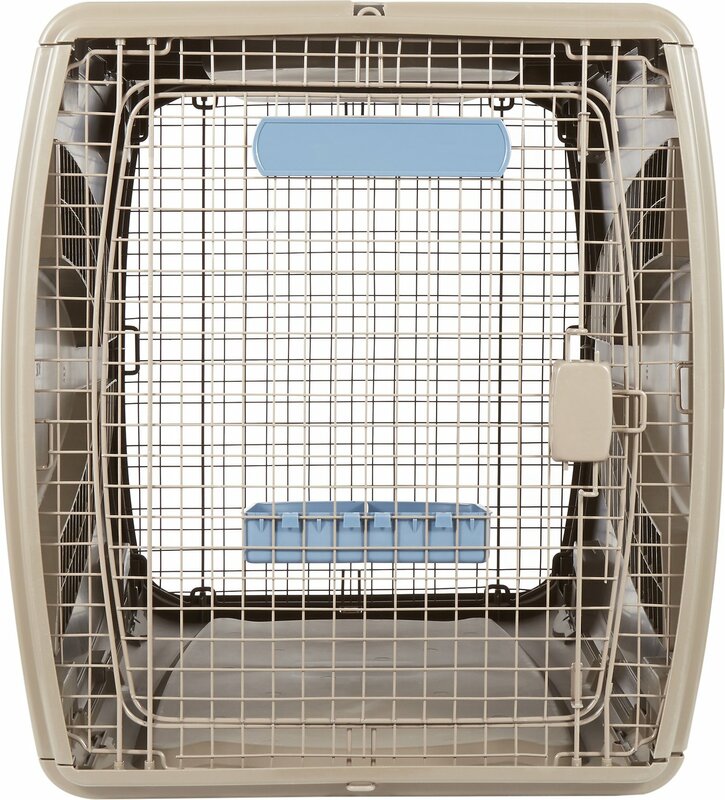 To clean pet carrier use warm soapy water and a towel or sponge. the wire door is very flimsy and bendable. My pitbull puppy easily escaped. I opened the box today and realized this is definitely NOT a crate for small dogs. I'm sure it's nice from the picture on the box, but not what I expected from the description.